Image above: Seated are Commander Rick Sturckow (right) and Pilot Kevin Ford. 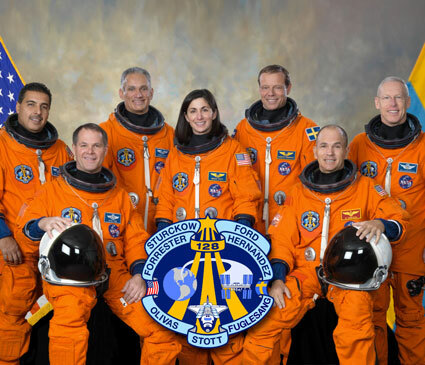 From the left (standing) are mission specialists José Hernández, John "Danny" Olivas, Nicole Stott, European Space Agency's Christer Fuglesang and Patrick Forrester. 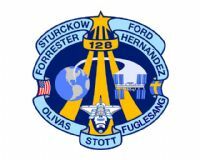 Stott is scheduled to join Expedition 20 as flight engineer after launching to the International Space Station on STS-128. 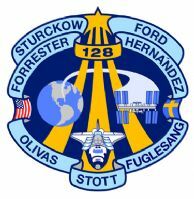 Commander Rick Sturckow led the STS-128 mission to the International Space Station aboard space shuttle Discovery with Kevin Ford serving as pilot. 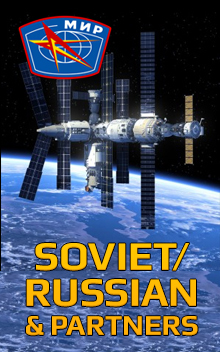 Also serving aboard Discovery were mission specialists Patrick Forrester, José Hernández, John "Danny" Olivas, Christer Fuglesang, Nicole Stott and Timothy Kopra. 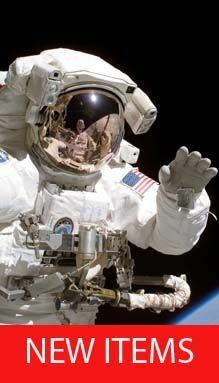 Stott remained on the station as an Expedition 20 flight engineer replacing Timothy Kopra. Kopra returned home aboard Discovery as a mission specialist. Discovery carried the Leonardo Multi-Purpose Logistics Module containing life support racks and science racks. The Lightweight Multi-Purpose Experiment Support Structure Carrier was also launched in Discovery's payload bay. This was Discovery's 37th mission to space and the 30th mission of a space shuttle dedicated to the assembly and maintenance of the International Space Station. West Midlands WS4 1TL England UK.